The first time I ever flew in a plane, I was amazed at the blanket of fluffy white clouds right underneath my window. Up there in the air, it was always a sunny day. That's when my love affair with aviation began. Sometimes I still get butterflies in my stomach when I gaze out of the cockpit at the clouds below me. 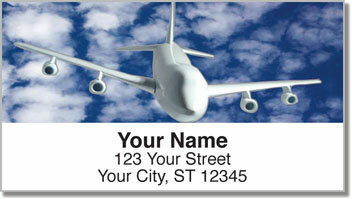 These unique address labels are a great choice for pilots or anyone who loves to fly! 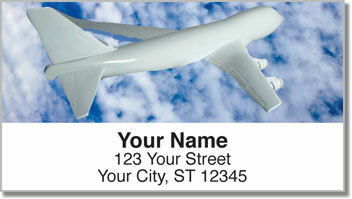 Stick them on all your mail for a simple solution to a chore that is often annoying. 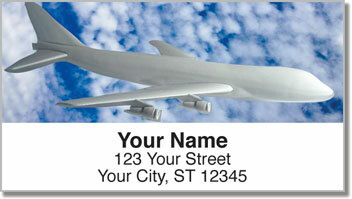 Now you'll never have to write your name and address on another envelope. 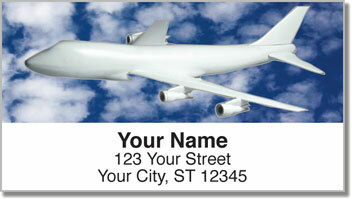 Order your very own Friendly Sky Address Labels today! You can also get them with matching personal checks.